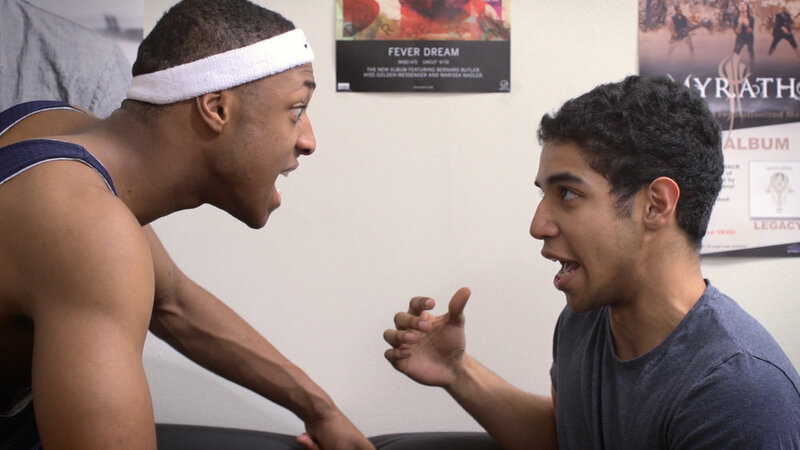 After being forced to lead the diversity seminar at work, Jordan, an intern who is naive and uncomfortable about race, bones up on his "blackness" with the help of his misguided roommate, Charlie. Jordan Presents is an extremely important film for me. It is the first project I've ever made that I would consider "personal," because it discusses issues that I've faced and previously wanted to shy away from. As a black person who grew up in a black town but attended a white school, I've always felt stuck in the middle of two different cultures. At first, I never wanted to discuss race because it made me feel different, but as I've gotten older, I've learned to be proud of who I am and to embrace the ideas and concepts that make me uncomfortable. The idea of what it means to be white or black in our society, something I've heard from people on both sides, is rife for comedy. My goal with this film was to make fun of what society tells people they "should" be, and to encourage people to figure out their own identities at their own pace. I'm still figuring out mine.